Steve has been president, chief executive officer and a member of the board of directors of McDonald’s Corporation since March 2015. 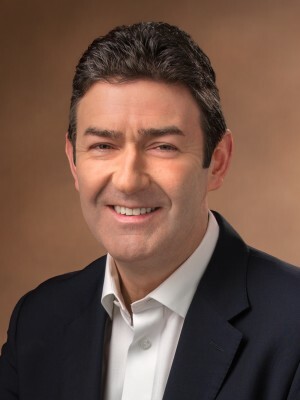 Prior to this appointment, he served in various senior leadership positions with McDonald’s, including as senior executive vice president and global chief brand officer from June 2013 to February 2015. From September 2012 through May 2013, Steve served as CEO of wagamama limited, a Japanese-inspired restaurant chain, and from September 2011 to September 2012, he served as CEO of PizzaExpress Limited, a casual dining company in the United Kingdom. From December 2010 to September 2011, he held the position of president of McDonald’s Europe. Prior to that, Steve served in a number of roles with McDonald’s over the course of 18 years, having joined the company as a financial reporting manager in London in 1993. He is a chartered accountant and serves as a Visiting Fellow at Oxford University Centre for Corporate Reputation. He also serves on the board of directors of Catalyst Inc., a global nonprofit organization that promotes inclusive workplaces for women, and on the board of trustees for Ronald McDonald House Charities.